Our product range includes a wide range of glass tube rotameter, metal body rotameter, industrial rotameter and glass rotameter. We feel proud to introduce ourselves as the leading manufacturer and supplier of a superior quality Glass Tube Rotameter. The offered glass tube rota meters are designed for the accurate measurement of rate of flow for liquids and gases. We offer this glass tube rota meter in diverse modified options according to the customer’s requisites and supply it in given time frame. This glass tube rota meter is manufactured with top grade of unfinished material, procured from the authentic sources of the market. This glass tube rota meter is examined on provisions of quality before its final supply to the clients. 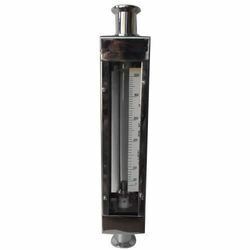 we are leading manufacturer of metal body rotameter. 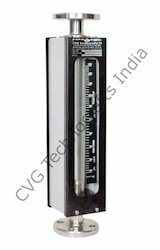 We are leading manufacturer of industrial glass tube rotameter. We are leading manufacturer, exporter of glass tube rotameter.